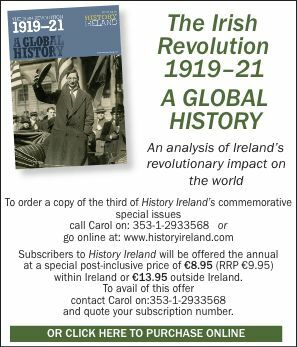 In view of the centrality of parliament to the history and historiography of the Ireland of the ‘Protestant ascendancy’, it is surprising that there is no modern study to compare with P.D.G. Thomas’s forensically detailed reconstruction of the operation of the British House of Commons in the eighteenth century for either house of the Irish legislature. Edith Johnston and J.L. McCracken have published useful accounts of the representative system in the eighteenth century, and a numbers of suggestive short studies of aspects of the proceedings of parliament have been published over the years by the likes of J.C.Beckett, A.G. Donaldson, Dermot Engerfield and John Bergin. However, nothing approaching a full-length study of the legislature has yet seen print. For this reason, the appearance of this elegantly produced study of the House of Lords and its members is to be welcomed. F.G. James has assembled a large volume of statistical and qualitative evidence from which the student and general reader will glean much if their primary concern is the personnel of the Irish House of Lords in the eighteenth century. On the negative side, those looking for a detailed reconstruction of the rules, procedures and operation of the House and of the Irish peerage, which supplied the body of its membership, will be disappointed because while what is provided in chapter five is more complete than available elsewhere, it takes second place to the author’s preoccupation with the ethnic composition of the Irish peerage. James’ concern with the composition of the peerage is registered in his opening paragraph when he takes issue with W.E.H. Lecky’s claim that the body of the Irish landholding elite in the eighteenth century were the descendants of Cromwellians who had profited from the draconian land transfer effected in the 1650s. In order to disprove this (which, by the way, he does thoroughly) the author commences with an exploration of the history of the Irish peerage and the Irish House of Lords in the middle ages. This is an utterly defensible course, but unfortunately too much of the material adduced in the opening chapter is not central to the subject of the book. More pertinently, it occupies space that would have been more profitably utilised providing a comprehensive review of the literature on the origins and early history of both the peerage and the Lords. What emerges from the narrative offered is that the Irish peerage remained small and the House of Lords relatively inconsequential until the early seventeenth century when James I and Charles I made an unprecedented eighty-five creations. Since the bulk of these were English, the effect was less dramatic than the figures suggest, and certainly less consequential than the eclipse of the native Irish and, to a lesser extent, of the Old English in the Lords. James expresses himself surprised at the continuing Old English and, though it was much smaller, native Irish presence. He provides a useful statistical perspective on this by analysing the ethnic origins of the peers who attended the parliaments convened in Ireland in the seventeenth century. His account would be more complete and more convincing if it was complemented by a fuller analysis of the emergence of an aristocratic identity (to which he makes reference) in the late seventeenth century, as both the Old English and Irish families that embraced Protestantism intermarried with the New English and became increasingly indistinguishable. This renders James’ continued use of the designations ‘Old’ and ‘New English’ anachronistic, but such is his preoccupation with ethnicity that he continues to use them. The problem is compounded by the fact that, as with his exploration of the medieval background, his exposition of developments in the seventeenth century is too dependant on a traditional political narrative and vignettes of the experiences of individual peers to be entirely satisfying. He is more assured and pertinent when he comes to the role of the House of Lords in the eighteenth century. This is the period in which James has specialised in his previously published work, and this is where the book is at its most rewarding. It commences with a useful account of the role of the House of Lords in the enactment of the Penal Laws and its stand on the fraught subject of its appellate jurisdiction. This provides James with an opportunity to define what he describes as ‘the character of the ascendancy’, and if the main issues are both well-traversed and well-known, the account of the operation of the House of Lords that follows is not. Chapter five provides the fullest statement available of the operation of the sittings, attendance, committee system, voting, bill procedures and legislation initiated in that House. It could have been amplified by the use of such sources as the Lords debates for 1783-4 in volume three of The Parliamentary Register, but it is a fine reminder of how significant and how under-utilised a source the journals of the Irish Lords are. The Lord’s Journal is less central to the dissection of the Irish peerage offered in the four chapters that follow. This follows a largely traditional approach, but the accounts of absenteeism in all its guises (Jacobite, religious, economic), the increasing endogamy of aristocratic marriage patterns, aristocratic incomes, the role of political service in the award of peerages and the attempts to measure the influence of the Lords on the Commons offer important insights. There is, it is true, much with which many will be familiar, but it is enlivened with pertinent anecdote. What is less satisfactory is the chapter on ‘the Lords spiritual’. This is really little more than a general history of the role of the Church of Ireland bishops in eighteenth-century Irish society on which James has already published extensively. Most culpably, he makes no attempt is made to explore the career of Charles Agar, the most formidable clerical politician of the late eighteenth century. This is disappointing, and so too is the largely formless concluding chapter, which is a pity because there is much in the book, and particularly in those chapters dealing with the eighteenth century, that can be read with profit. James Kelly lectures in history at St Patrick’s College, Drumcondra.